As you enter the world of business, you're told time and again that your brand is essentially everything. It's the first encounter that most customers have with your organization and it's your connection to those people, particularly when it comes to establishing the type of meaningful and long-lasting relationship you need to survive. While all of this and more is definitely true, there is one important thing that your brand is NOT: immortal. Changing your brand may be a difficult decision, but sometimes it is the best chance you have to re-organize your priorities and start anew. There are a few key warning signs that it may be time to change your brand that you should always be on the lookout for. A lot can happen in a decade. Since 2005 alone, the world saw the rise of the smartphone, the fall (and arguable recovery) of desktop computing, the "death" of physical media and more. If the one thing that you CAN'T say about the last ten years is, "I've updated by brand at least once, preferably twice during this period of time," then you're looking at a clear-cut sign that it's time for a change. So much happens in a decade that without a brand refresh, you run the risk of developing a reputation for being old and stale. Even if you know that isn't true, relying on the same logo and marketing approach from President Bush's second term will land you right back there anyway. A brand change or upgrade is a perfect way to start fresh with a bold, new (and most importantly modern) voice. At some point, any successful business that has operated for an appreciable amount of time needs to deal with a target audience that "ages out" of what attracted them to their business in the first place. If you think of the most successful brands in history, be it Pepsi or Microsoft or something in between, they've all had to deal with the same issue at some point in their history. If despite your best marketing efforts your once steady sales have started to stagnate, or if you just can't seem to rile up your audience the way you once did no matter what you try, it may be time to rethink your brand and who it is geared towards. Remember that a 30-year-old in 2015, and a 30-year-old in 1965, represent two completely different things and barely resemble one another. If your core audience has gone away, a dramatic change to your brand (but adherence to the values you established in the first place) is a great way to attract the attention of a whole new crop of people in one bold and striking move. 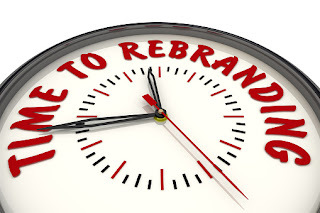 These are just a few of the many signs that it may be time to change your brand. Above all else, it's important to remember that a brand realignment is not an admission of guilt that something went wrong, or defeat in terms of your business in general. Instead, it's an opportunity. It's a chance to throw out the old and rise from the ashes like the phoenix, ready to take a new generation of your target audience by storm and impact their lives with your products or services in a much more organic and impacting way.